SaaS businesses are known for rapid innovation which means Finance, Operations and IT teams need to move fast enough to keep up with their Product, Engineering and Sales counterparts. Your Lead-to-Revenue ecosystem should allow a SaaS businesses to effectively manage large volumes of subscribers. At the center, it automates recurring billing and accounting to help Finance, Operations and IT teams scale while enabling the business to pursue any monetization strategy. Success in enterprise recurring revenue involves your entire organization. It requires that you move beyond billing to manage all the steps involved in monetizing your services, from customer acquisition, to activation, to payments, and more. 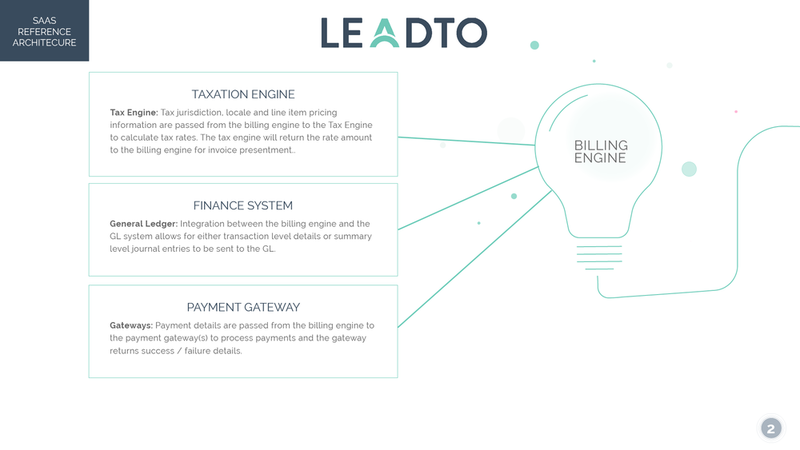 LeadTo can help you define the right systems to complete your SaaS Architecture for a complete recurring revenue management solution to maximize the value of each customer relationship.